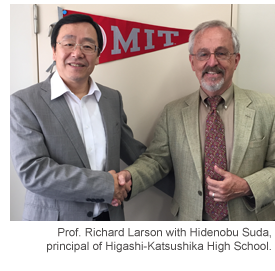 MIT Professor Richard Larson and Dr. Tetsuro Takahashi of Fujitsu Ltd. spent the week of June 1-5, 2015 initiating BLOSSOMS in Japan, in and near Tokyo. The Fujitsu Company supports the program and is the world's third largest IT services provider measured by revenues. The new BLOSSOMS effort is in collaboration with the Higashi-Katsushika High School, Kashiwa City, Chiba pref., where eight science and mathematics teachers have agreed to use BLOSSOMS lessons and pedagogy in their classrooms and to start to design and create new BLOSSOMS lessons. In preparation of this exciting effort, seven existing BLOSSOMS lessons have already been voiceover-translated into Japanese and posted on the BLOSSOMS web site. We expect additional lessons to be translated in the near future. Read more. This chemistry lesson from the Federal University of Vale do Sao Francisco is multidisciplinary in character and aims to show students one of the many processes to treat contaminated water with chemical substances (adsorption). Taught by Professor Arlan de Assis Gonsalves, an analytical chemistry teacher, the lesson uses an alternative biomaterial, ground tamarind skin, as a filtering element in the adsorption process. The main objective is to provide a practical demonstration of one of the various mechanisms of adsorption in a given material. In this case it’s an adsorptive process mediated by electrostatic interactions (ion-ion interaction) between the positively charged dye and the negatively charged tamarind skin in an aqueous environment. Watch lesson here. As part of the Share My Lesson 2015 Summer of Learning Professional Development series, BLOSSOMS will present a webinar on July 9th entitled “MIT BLOSSOMS Video Lessons: A Teaching Resource to Support NGSS.” Share My Lesson was developed by the American Federation of Teachers and TES Connect, the largest network of teachers in the world. Developed by teachers for teachers, this free platform gives access to high-quality teaching resources and provides an online community where teachers can collaborate with, encourage and inspire each other. Register for this free BLOSSOMS webinar here. BLOSSOMS Geometry Lessons provide interesting and unique approaches to the study of geometry. For example: “The Parallax Activity: Measuring the Distance to Nearby Stars” and “Why Beehive Honeycombs Have a Hexagonal Shape”. Read more. As part of the MIT BLOSSOMS’ partnership with Tecmilenio of Mexico, ten BLOSSOMS video lessons have now been translated with Spanish subtitles by educators at the Tecmilenio ITESM University. Read more. Gilbert Strang is the MathWorks Professor of Mathematics at MIT where he teaches Linear Algebra and Computational Science. Both of these classes are videotaped and available on MIT's OpenCourseWare Professor Strang also has a Highlights of Calculus video for high school students available online here. 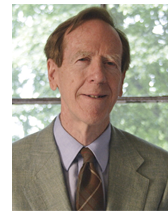 Professor Strang’s three BLOSSOMS lessons include: “The Quadratic Equation: It’s Hip to Be Squared”; “Complex Numbers: Part Imaginary, but Really Simple” and “Are Random Triangles Acute or Obtuse?” Read more about Professor Strang here.